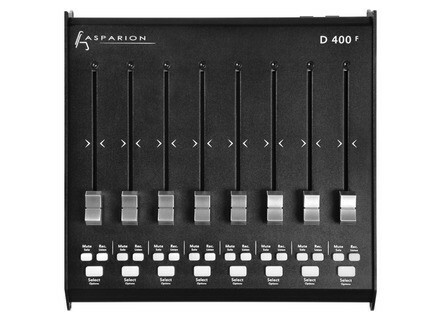 D400F, Motorized MIDI Control Surface from Asparion. 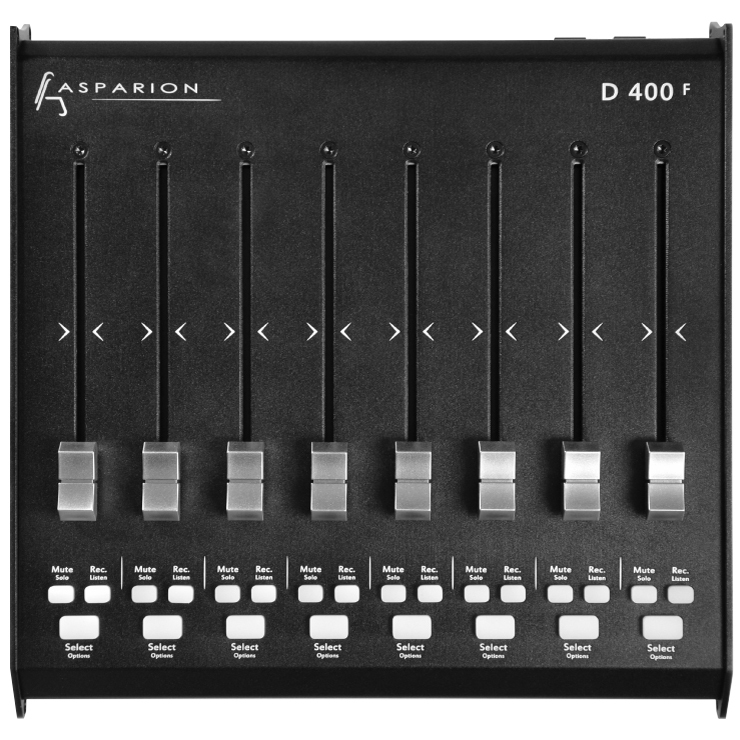 According to Asparion, the D400 offers a compact, robust, all-purpose user interface allowing up to 64 motorized faders and many LED push buttons. By use of the double click function, the user you can allocate a second action to every button, which gives access to even more functions on smallest space. This is supported by a "push and rotate" function, which allows to turn a rotary encoder in its pushed state to control a second function. 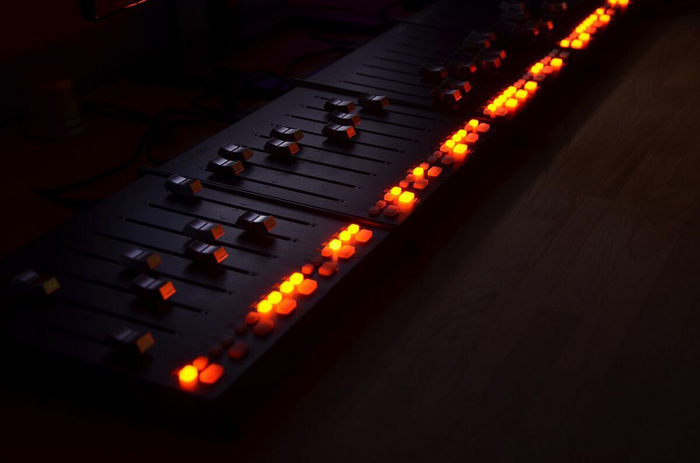 The D400T forms the basis. Besides all basic functions like "play", "stop" and "record", it allows to control settings like volume and panorama with the rotary encoders surrounded by an LED ring. 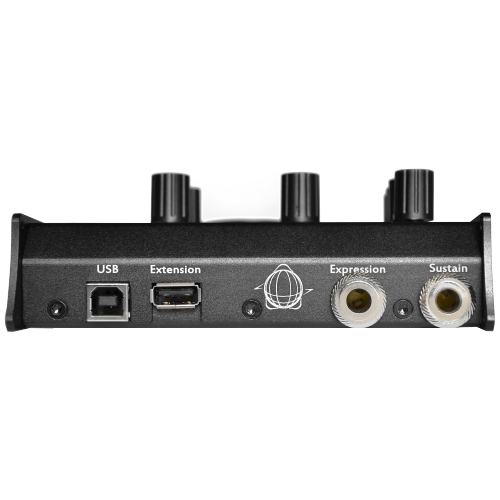 By use of buttons 1 to 8, it's possible to assign several functions to the rotary encoders, while the four additional rotary encoders make it easy to control (dor instance) an EQ. The Jog-Shuttle combination allows to navigate in a matter of seconds. The available sockets to connect a sustain or expression pedal give you the chance to even use your feet. Up to 8 extensions can be added to to the D400T, for a total 64 faders at the same time. 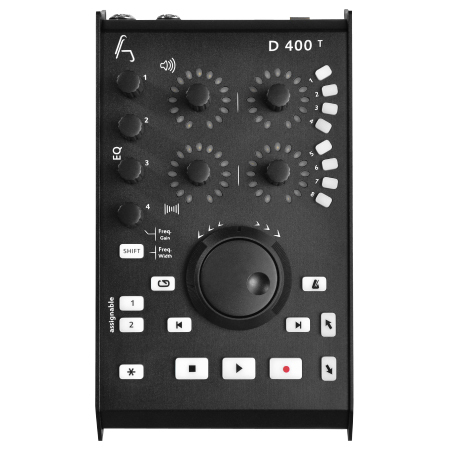 The D400F is the extension module. 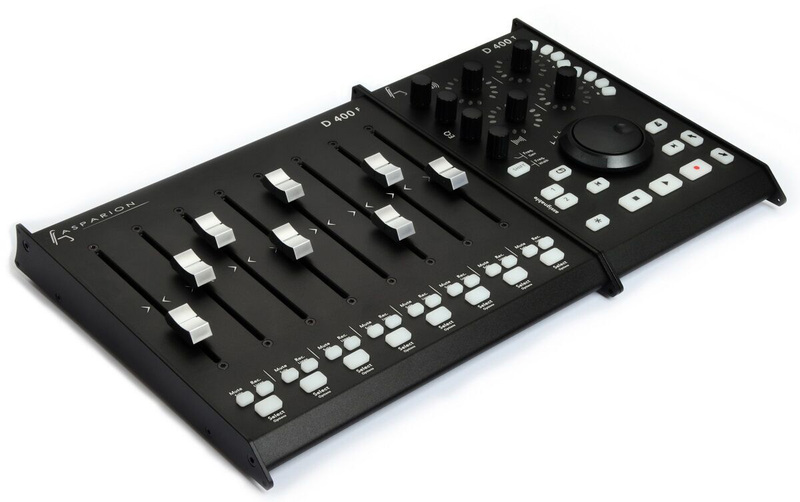 It features a combination of 8 motorized ALPS faders with 3 LED push buttons each, giving full control over audio tracks. 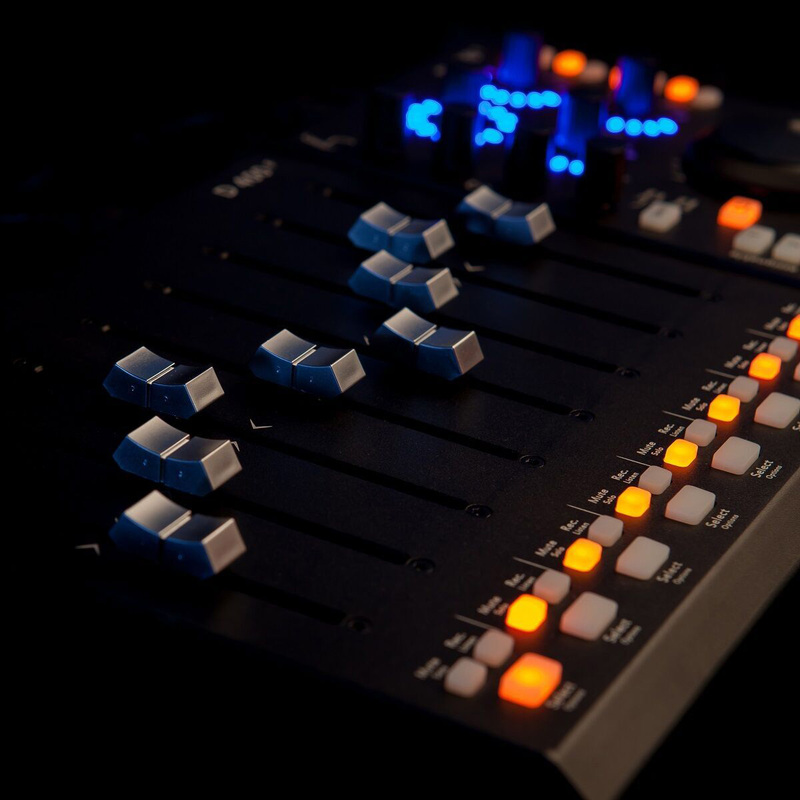 The touch-sensitive surface of all faders is said to make automation "become child's play", with an accuracy of up to 4000 levels per fader for enhanced accuracy. Also, as each extension can be connected to another extension, there are sufficient USB ports at any time. 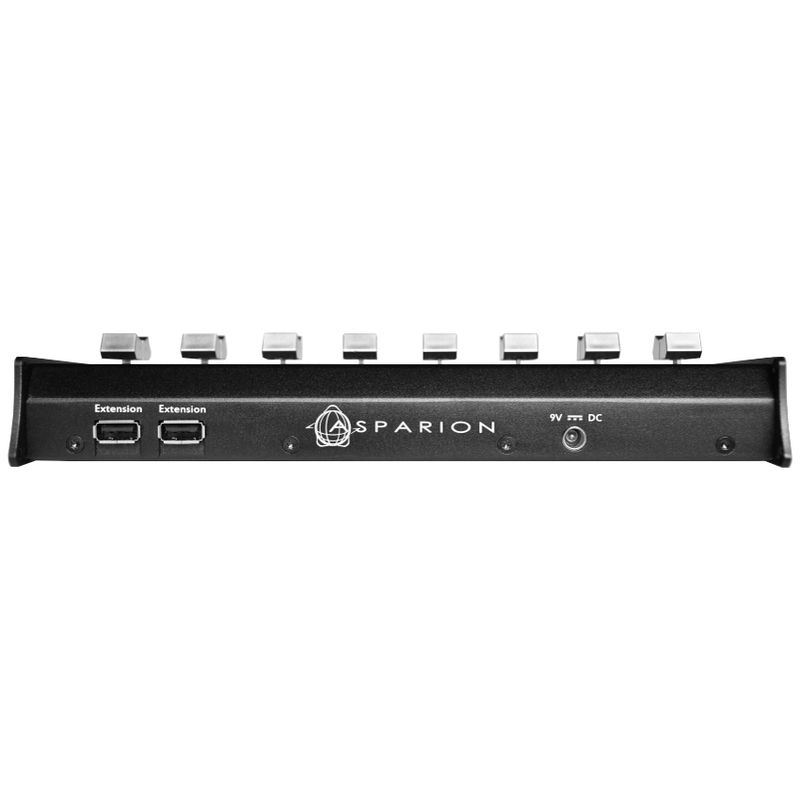 The extensive "Asparion Configurator" software allows to configure and customize the controllers to the user's personal needs without any limitations. 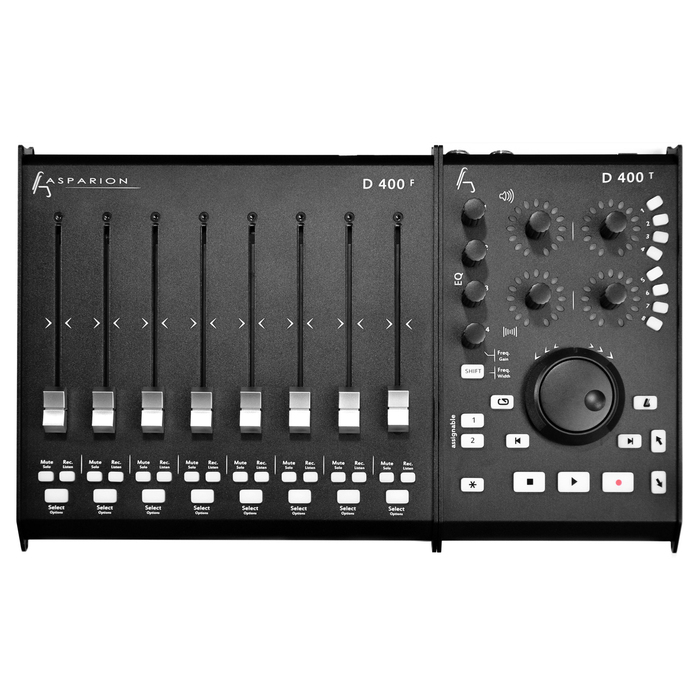 MSRP: Bundle (including 1x D400T + 1x D400 F): $959 ; D400F: $579 ; D400T: $429. More details available from Asparion's website. Best Service releases Alpine Volksmusik Best Service introduces Alpine Volksmusik, a sample library dedicated to traditional Austrian, Bavarian and Upper Carniolan folk & brass music.